If you'd like to experience the supreme driving experience of the quintessential Jaguar sports car, then we encourage you to check out the 2016 Jaguar F-TYPE in San Antonio TX. With its thrilling performance, confident handling, stylish design, finely crafted cabin and advanced technology, the new F-TYPE is ready for any of your adventures. Whether you live in Boerne, Schertz, New Braunfels or anywhere else in the San Antonio area, you're sure to be impressed with this spectacular luxury sports car. 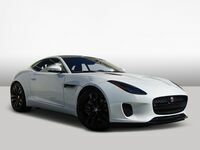 With the 2016 F-TYPE, you have a choice of three powerful engines: 3.0L V6 340 HP in the F-TYPE, 3.0L V6 380 HP in the F-TYPE S and F-TYPE S AWD and 5.0L V8 550 HP in the F-TYPE R. Each features a Roots-type twin-vortex supercharger, mounted in the "V" of the engine to maintain its compact dimensions. Providing linear power delivery and high levels of torque at all engine speeds, the highly advanced engines minimize the gap between the driver’s demand and the engine’s response. Performance in the F-TYPE is further enhanced by its lightweight aluminum construction, active aerodynamics, quick response steering, performance braking systems and in the F-TYPE S AWD and F-TYPE R, instinctive all-wheel-drive. The powerful shape and beautiful proportions of the 2016 F-TYPE really grab your attention. It is, in part, sculpted by the wind itself, formed with airflow technology. Aerodynamic performance is seamlessly integrated into the body for low levels of lift and excellent stability at high speed. 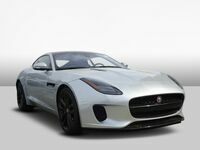 The F-TYPE also features a front splitter beneath the grille and rear valance manage airflow underneath the car, while a deployable rear spoiler automatically rises at speeds over 60 mph on Convertible models and 70 mph on Coupe models to reduce lift by up to 264 pounds. The luxurious cabin of the new F-Type is designed to provide optimum visibility with minimal distractions. 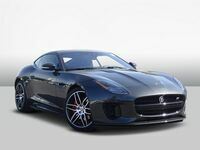 Its 1+1 configuration wraps around the driver, sitting low in the heart of the F-TYPE, close to the center of gravity. Also, with its Jaguar InControl multimedia system, you'll have the latest technologies to connect you and your car to the outside world. 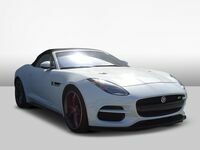 If you want to learn more about this phenomenal sports car or wish to take one for a test drive, then don't hesitate to contact us at Barrett Jaguar.